Yesterday, I got out my two containers of strings and threw a couple of blocks together. As I have mentioned before, scrappy is hard for me, however, once I got started, I couldn't stop! I sorted out the lower volume fabrics I had, cut a bit into my yardage and fat quarters for more variety and I am well pleased with how this project is coming along. 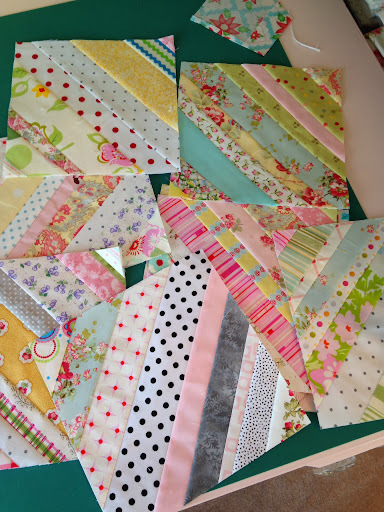 I am really excited to see how it will look after I get the blocks sewn together. Quilting truly is my therapy. When life is hard, I can lose myself in a project. It helps to keep the fear and sadness at bay. It is a true blessing to me. scrappy always turns out surprisingly great!!! your flimsy also looks beautiful. Oh I love the fabrics and colors!! And your string blocks are gorgeous. I agree, quilting is therapy. I have been missing my machine, it's been in the shop for almost two weeks and I'm having withdrawals. The hum of the needle is so relaxing! Everything looks great! I love scrappy blocks. It's such a pretty top, Amy! and those string blocks *sigh* the colors are wonderful! Wonderful as always Amy! Glad you can take your mind off things with quilting I do that too. Have a great weekend. Beautiful fabrics and quilt Amy. Great scrappy string blocks. Your strings look great! I have had a hard time getting motivated to quilt. 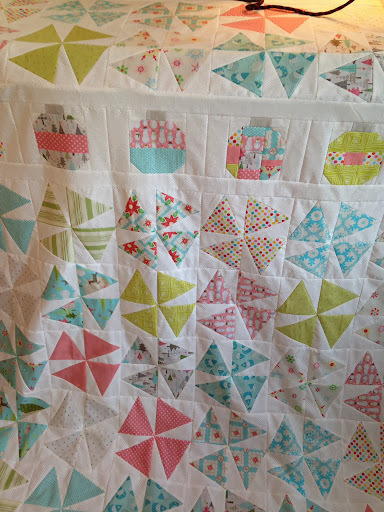 It has always been my therapy but this time it feels like a chore :-( Keep quilting.... yours looks great! I can't wait to see it! Isn't it nice to have some place or something to lose yourself in? OOO! love both of these projects.